I don't think too many people have missed the Wave 3 announcement that FFG posted yesterday. Maybe we can have a reasonable discussion on its implications? So far, it looks like Wave 3 is a bit smaller than we have traditionally seen, almost like a mini-wave, with two $20 ships making their debut. Both these ships are a new type, however, and look to be significantly cheaper than CR90s and Raiders to bring to the table, looking to be at "about the cost of a squadron"
This alone is a huge meta shift for both Imperial and Rebel ships. Just by adding one new ship to both sides, it completely shakes up deployment advantage and activation advantage for both sides. 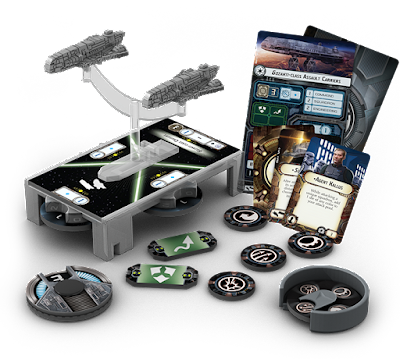 Assuming one of the new ships can be fielded for around 20 points (about the cost of an elite squadron), the Rebels gain a deployment for cheaper than the price of anything short of Y-Wings, and the Imperials gain a way of deploying besides swarming TIE Fighters. And it doubles as an activation too! Now you have an inexpensive way to bring a twin ISD list into a respectable number of activations. But the new ship type is interesting as well, and makes very good sense. The "Flotilla" will be like a normal ship with one notable exception: The Flotilla doesn't deal damage when it rams or is rammed, but still takes damage (and blocks movement). Consider using these guys naked as ablative armor - a screen keeping Black dice using ships (looking at you, Demolisher) away from your larger, pricier vessels. Or maybe using them with Rieekan as a cheap blocker for an ISD front arc. Sure they will take damage on a ram, and not deal anything back, but they can hold a big ship in place for at least one turn with minimal investment. And that's just using the ship itself, and not any of the upgrades that come with it. They're not even that easy to bring down by most conventional means. Scatter means that accuracy is pretty much required to bring them down, or focus fire from a lot more bombers than you'd comfortably want to be firing at 20-something points worth of ship. (Looking at you again, Demolisher - Scatter cancels ALL attack dice, before critical effects can be declared). Looks like H-9 Turbos will be making a comeback, and Home One looks like a better title all the time. Maybe we'll see Gladiator II's and Sensor Teams for a accuracy results? Plus someone is going to hide their Admiral on one of these darn things and run like mad from the fight. Agent Kalus - An officer that lets you add one die of any color when attacking a unique squadron. Like any "add" effect, this takes place after you attack. Slap it on a Raider or Gladiator II and you're looking at being able to add a Black (to be rerolled by Ordinance Experts) if you've already rolled an accuracy on a Blue die, or if there's no scatter. Or add an extra Blue if you need an accuracy! Or a Red if you really, really need two damage to finish the damn thing off and want (or need) to gamble. Bomber Command Center - The first of 3 newly revealed "Fleet Support" icons, seeming to be unique to the two flotillas. This one gives Bombers at Range 1-5 of the ship the ability to reroll 1 attack die. The biggest beneficiary to this is, I think, the X-Wing, who's 1 Red is most in need of free rerolls, but other possible beneficiaries of this include Nym - who really wants to fish for that Critical Effect, Luke - same reason, and oh yeah Rhymer Balls are still a thing, right? I think it's probably good that it's priced at 8 points, but with Squadron 2 on both flotillas, I think you can expect them to be flinging their fair share of squadrons into the fight. Comms Net - Tantive IV for everyone! This 2 point upgrade lets you toss tokens from the ship in question to whoever needs a free token most. Hand out those tokens to ships that are actually fighting, while you sit away at a distance, or before you go splat so they can do useful things that you just cannot do. Unfortunately, Command 1 means that you aren't going to be much of a token bank for anyone. Might work better with multiple different tokens being gifted from multiple flotillas as part of a setup? Let your ISD repair some shields, launch fighters, and still slow down from speed 3 to speed 1 thanks to Ozzel? Just have a token to feed to a Liaison? Lots of room to play around with this. Repair Crews - 4 points and my favorite thing in the group. 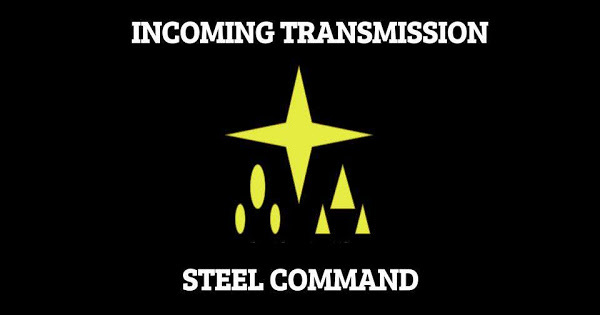 An engineering command used, and you can repair a damage card from a ship you are near instead of gaining engineering points. CR90 that can't repair damage with a dial? Fixed. AFII took the critical that halves your engineering? Fixed. Crash a Large ship through a mine in Minefields? Fixed the next activation. Oh, and it works with the token too. Garm and Tarkin are going to love this card. Oh, and in case you didn't notice, it says "friendly ship" not "another friendly ship". Physician, heal thyself. 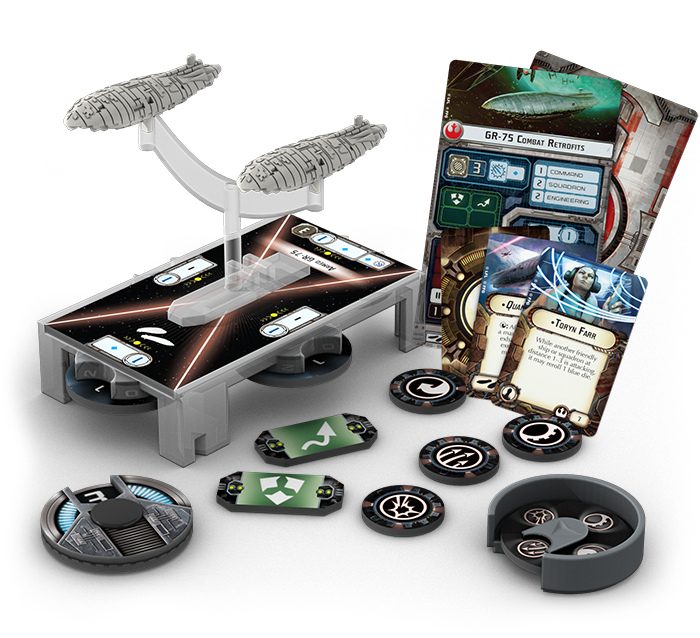 Toryn Farr - When another friendly ship or squadron at range 1-3 is attacking, it may reroll 1 Blue die. 7 points is a bit pricey to dump into a ship that is probably priced in the 20s, but ol' Toryn should find herself right at home on something more substantial. What would like rerolls? Anything fishing for accuracy results or Blue criticals, really. Nym gets another option to shine, as do Overload Pulse and NK-7s. Torpedo Frigates, MC80s, and AFII's all benefit to varying degrees. Plus, for squadron fighting, she turns everything around her into a poor man's Flight Controller activation. She works with A-Wing / HWK / YT-1300 Counter attacks. She works with pretty much every rebel ship's anti-fighter barrage. She'll be right at home at a formation flying list. Overall, I've actually quite excited for this, and we haven't seen everything there is to see for this wave yet. If this was all, it would already be a meta-shakeup close to the Wave 2 increase to 400 points - lots of things that aren't currently excellent are about to become very, very good after all, and list building is going to need to incorporate lots of cheap activations and deployment advantages. Frankly, I hope this isn't it - $20 per ship isn't that much to throw at my FLGS who has been instrumental in keeping Armada play going in my area, and we're kind of hoping that the missing SKU's turn out to be something more substantial. Fingers crossed! We can always count on Biggs to be level headed. I too am quite excited about it, and we still don't know the depth of the upgrades available on them. So far, you could assume that each have 8 upgrade cards as stated... If the 3 Fleet Support cards are identical in each box, that still leaves, potentially, a Commander for Each. The listed officer. A Title Card, and 2 other Upgrade Cards - which could also be Fleet Support. Only the Rebel Commander was noted - but its not the first time that happened, in one previous expansion it wasn't until we got the second article (I think) that we found out the Raider had an Imperial Commander. This is going to be huge for the activation game. And coming into Armada, I've always considered myself a Combined-Arms approach kind of commander/player - and this adds another Wing to that Combination - dedicated support (that so far, only lil' ol' Redemption has really been a part of). Great write up as usual, Biggsy. I love "combined-arms", and my Rebel list building has since Wave 1 been about "one monster ship that I cannot lose, plus support". So this is right up my alley. I like your article, and I think the new flotilla is very interesting and thematic. But I just feel that after wave 2, this is just a little 'meh'. But perhaps this is because we were so spoiled with all the great releases in wave 2. I will still of course buy one of each!! But probably no more. Hard to repeat "We're adding the ISD / Home One" in terms of exciting ships. But yeah, "We're adding essentially unarmed transports" is kinda "meh" before you think about what it will do to activation advantage.